Hostal Xucar, Madryt, Hiszpania : Rezerwuj teraz! 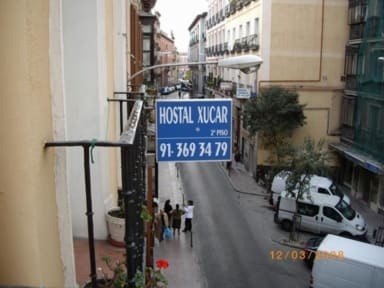 Hostal Xucar is located in Madrid old quarters, at the heart of the historic part of the city, just a step from Puerta del Sol and Plaza Mayor. The Hostal is also within easy walking distance of the main museums in Madrid such as the Prado Art Museum, the Thyssen-Bornemisza Museum and the Reina Sofia Contemporary Art Museum. 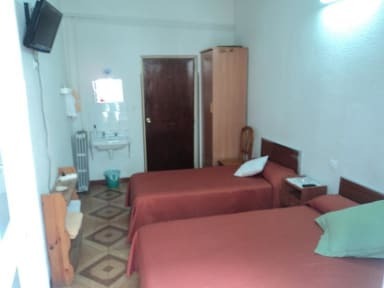 Hostal Xucar has single, twins and triple rooms ,clean and comfortable, with heat, and shared bathrooms.